Featuring a beautiful surrounding and offering maximum comfort and privacy, this property is the perfect accommodation choice for an enjoyable vacation. 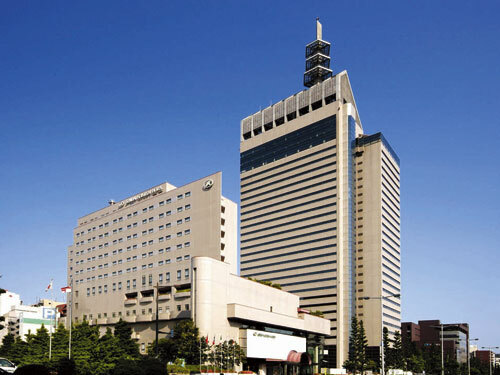 Koyo Grand Hotel is prominently situated in the heart of Sendai offering good access to excellent shopping districts and most of the popular area attractions. Tokyu Excel Hotel Sendai provides first-class comfort with well-planned facilities and services for both business and leisure travellers. The Tokyu Excel Hotel Sendai is located in the centre of the town, and just a 15-minute walk from Sendai station. 5 minutes on foot from the west exit at JR Sendai Station. Located in the heart of the city of Sendai, it is the best location for business or leisure. All rooms are equipped with Semi-double bed. Hotel welcomes you by warm heart and please stay with relax pleasantly. 3 minutes walk from Subway Hirose-dori Staion West Exit 5. 15 minutes walk from JR Sendai Station. 10 minutes on bus from JR Sendai Station bound for Kawauchi Kameoka and get off at Tohoku Kosai Hospital. Hotel offers the comfortable accommodation with reasonable price in high-quality atmosphere. The hotel features the imported interiors and values the guest to spend time in room. 10 minutes walk from JR Sendai Station. 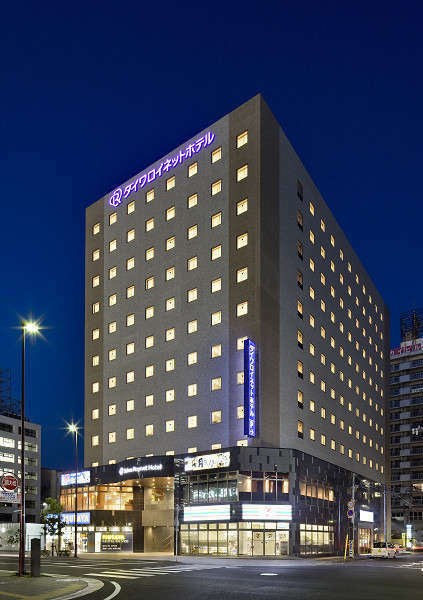 Hotel Mielparque Sendai is situated at the quiet environment of JR Sendai Station east exit and boasts the panoramic view of the city from main bath. 7 minutes walk from JR Sendai Station. 3 minutes walk from Subway Hirose-dori Station (East exit 2). 15 minutes drive from Sendai Miyagi Interchange on Tohoku Expressway via Sendai west road. Hotel Green Selec is located conveniently at Sendai City, which is called 'City of Trees.�h It is within 10 minutes to JR Sendai Station, Hirose Dori subway station, prefecture and city government offices, shopping and dining zones including downtown Kokubuncho. 8 minutes walk from JR Sendai Station. 2 minutes walk from Subway Itsutsubashi Station. APA Villa Hotel Sendaieki-Itsutsubashi is equipped with natural hot spring bath and open-air bath that gushes out from 800m in underground. All rooms are Duvet feather quilt installed and have internet access, and shower toilet. 4 minutes walk from Subway Hirose Dori Station. 10 minutes walk from JR Sendai Station. 40 minutes by taxi from Sendai Airport. 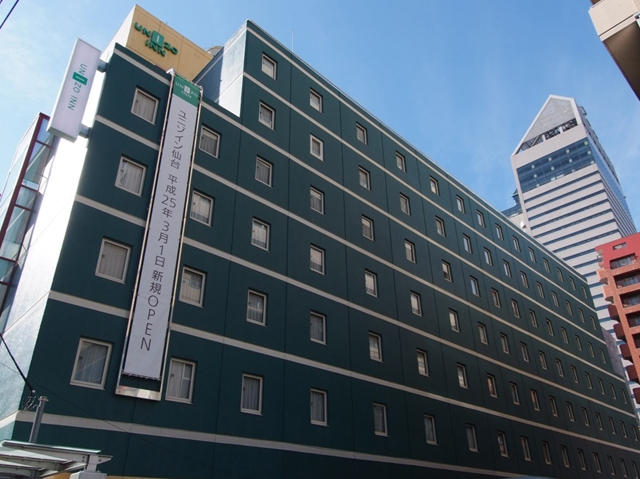 Hotel Hokke Club Sendai- a 10-story building situated 10 minutes walk from JR Sendai Station on JR Tohoku Shinkansen Line or Tohoku-honsen Line. Hotel has 138 Guest Rooms. It is near the city government district and making it ideal for business. Many people are enjoying the elegant and soothing comfort of hotel. 5 minutes walk from JR Sendai Station. UNIZO INN Sendai is at convenient location, 5 minutes walk from JR Sendai Station. Hotel has completely renovated in October 2004 and is ideal hotel with safety, cleanness and economy price. Hotel strives to maintain the competitive pricing while welcoming all the guests with friendly, professional services. 5 minutes by taxi from JR Sendai Station. 12 minutes walk from JR Sendai Station. 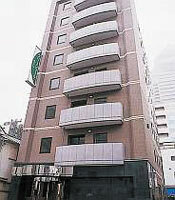 The Hotel Pearl city Sendai is located on the Aoba Street in the center of Sendai, a city of woods. The hotel has 166 clean and functional guestrooms and the best hotel for both business and sightseeing. 5 minutes by taxi from JR Sendai Station. 10 minutes on bus from JR Sendai station bound for Aobadai and Get off at Omachi Nishi Koen-mae. 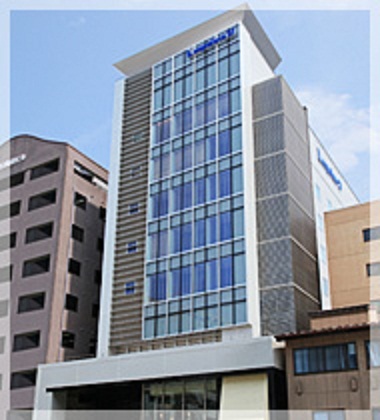 Ark Hotel Sendai is located on Sendai's main street, Aoba Street and quiet hotel even in the city center. The hotel has convenient access both from JR Sendai Station and Expressway. This hotel was one of the first hotels in Sendai to implement the card key system. Main bath was newly opened in March, 2009. 10 minutes by taxi from Izumi Chuo station on Sendai city subway. 30 minutes by taxi from JR Sendai station. 5 minutes by car from Izumi IC on Tohoku expressway. Located near Izumi Interchange in Sendai, and convenient for business, sightseeing, and other occasions. Complimentary buffet breakfast in Japanese and Western style is available. Please also have dinner at "Hanano Yume" for seafood specialty. 3 minutes walk from JR Sendai Station. 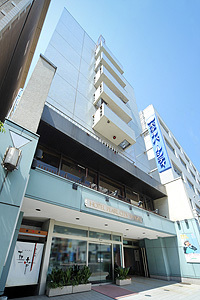 Hotel Monte Hermana Sendai has opened under the concept of safe and secure on October 31, 2009. Room key is needed to the guest room floor and this security system can not employ unauthorized alien's admission without permission of the guest. Ladies floor is equipped. It is conveniently located only 3 minutes walk from JR Sendai Station. 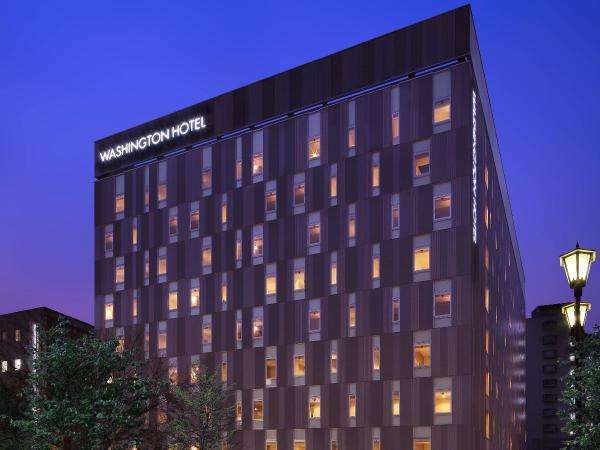 Located at the heart of Tohoku region in Sendai, the new Washington Hotel is the next generation type Washington Hotel in Sendai. Location is convenient from Tohoku Shinkansen, Tohoku Main Line, Senzan line, Senseki Line, Sendai Airport access railway, Sendai station west exit. 4 minutes by walk from the east exit of JR Sendai Station. 1 minute by walk from Miyagino-dori Station on the Tozai subway line. 20 minutes by car from the Tohoku Expressway Sendai Miyagi IC. We opened in April, 2016 and are very convenient location: 4-minute walk from the east exit of JR Sendai Station and 1-minute walk from Tozai Subway Line Miyagino-dori Station. We have rooms that meet a wide range of guests' needs. The water in a big bath is white ion which has a good effect for beauty skin. 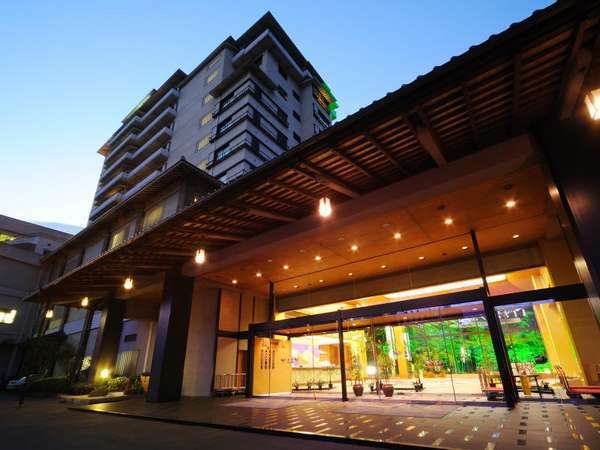 Feel your relaxation at the Hotel Vista Sendai. 3 minutes walk from JR Sendai Station. 1 minute walk from subway Sendai Station south exit number 2. 40 minutes by the airport limousine bus from Sendai Airport. Located in the heart of Sendai, this romantic hotel is within a 5-minute walk of Asaichi Morning Market and Zuihoden Mausoleum. Sendai Ginza Street and Sendai City Tourist Information Center are also within 10 minutes. Located in front of the Sendai station, The Hotel Monterey Sendai was built in the image of Prague. The first feature to catch the eyes is the European exterior, and after entering the hotel, notices the several antique interior. The rooms have 3 types, an art deco interior, classical European interior and an art nouveau interior. On the top floor, there is a palace garden style hot spring bath (charges applied). 12 minutes walk from JR Sendai Station. 1 minute walk from subway Hirosedori Station. Mitsui Garden Hotel Sendai is located at the center of Sendai City and walking area to Kokubuncho, the largest downtown in Tohoku region. It is suitable for business, couple and family. There are open-air bath and main bath in the hotel and rooms are equipped with the air cleaner with a humidification function. 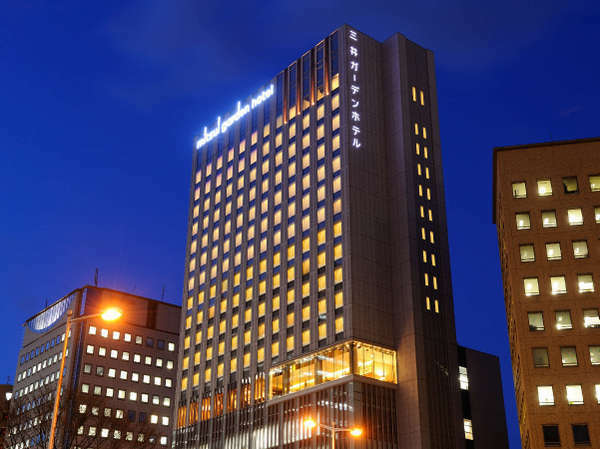 Hotel Jal City Sendai is located in the center of Sendai within walking distance from the business district and the government and municipal offices. All business needs and sightseeing information are supported at this hotel. Hotel is equipped with fax machines on the executive floors and the latest office equipment in the Business Center. 2 minutes walk from JR Sendai Station East exit. 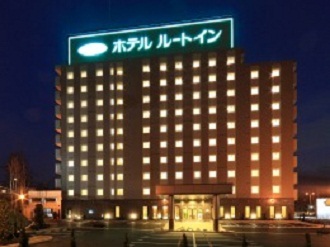 Daiwa Roynet Hotel Sendai is the urban city hotel and located at 2 minutes walk from JR Sendai Station east exit. The concept of the hotel is to offer the high-quality and comfortable satisfaction to the guest. The hotel is situated in the ideal base for business and leisure travelers. 6 minutes walk from JR Sendai Station. 2 minutes walk from Subway Nanboku Line Hirose-dori Station. 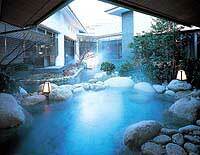 Located at center of Sendai City, The hotel has sauna and spa facilities. The hotel emphasis on comfortable stay and double bed is equipped in every room. 6 minutes walk from JR Sendai Station East exit. 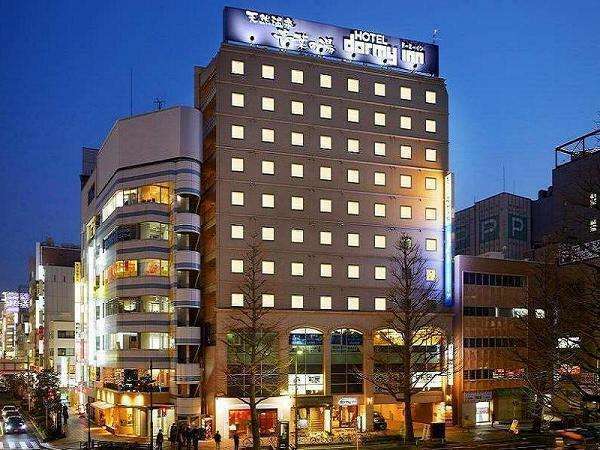 Located in the heart of Sendai, this hotel is within a 15-minute walk of Asaichi Morning Market, Zuihoden Mausoleum, and Sendai City Tourist Information Center. Sendai Ginza Street and Tohoku University are also within 15 minutes. 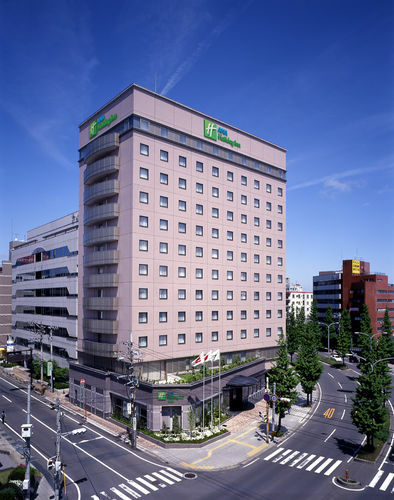 ANA Holiday Inn Sendai is operated by World-wide hotel chain, Inter-continental and has opened as the first hotel in Sendai managed by foreign capital. Please enjoy the service and hospitality of the internationally recognized Holiday Inn brand. The hotel is just 6 minutes walk from Sendai Station. Sendai is 1 hour 40 minutes on the JR Tohoku Shinkansen from Tokyo Station and 70 minutes by air from Osaka. The hotel is ideally situated for business and pleasure stays. 5 minutes walk from JR Sendai Station East exit. 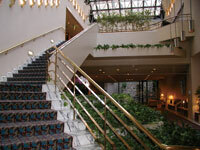 Hotel Leopalace Sendai has opened in July 2010 and welcomes guests at the atrium lobby which images the City of Forest. All rooms are bright and clean with wood and refreshing green like Scandinavian atmosphere. Simmons bed and humidification function air cleaner are equipped in every room. 1 minute by walk from JR Sendai Station. 40 minutes by taxi from Sendai Airport. 15-minute drive from Sendai-miyagi IC on Tohoku Expressway. 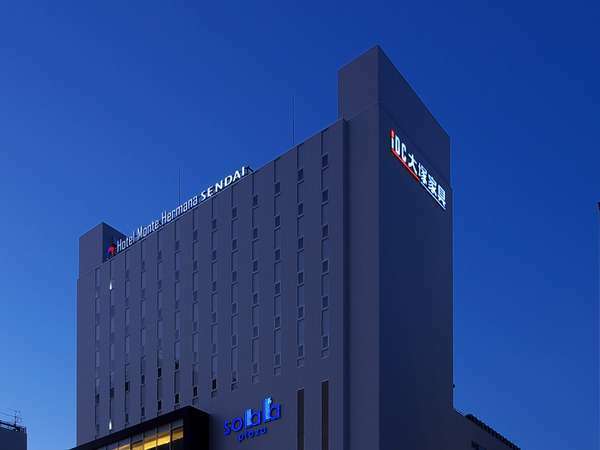 As a flagship city hotel in the Tohoku regions, the Hotel Metropolitan Sendai is located adjacent to JR Sendai Station, which is the base station for both business and leisure. 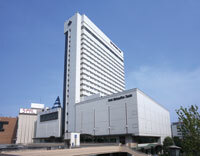 The hotel is directly connected to S-PAL Sendai (shopping mall), and has 295 guestrooms and 3 restaurants. 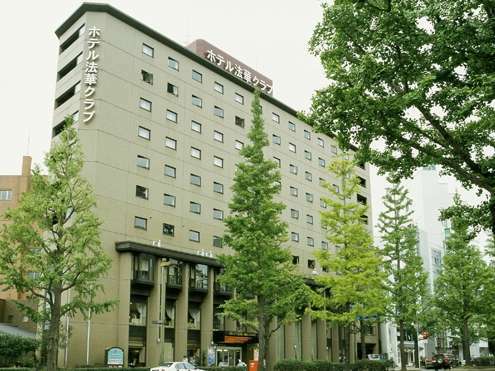 Sendai Kokusai Hotel is leading hotel in Sendai where one can appreciate the beautiful zelkova tree lined street. 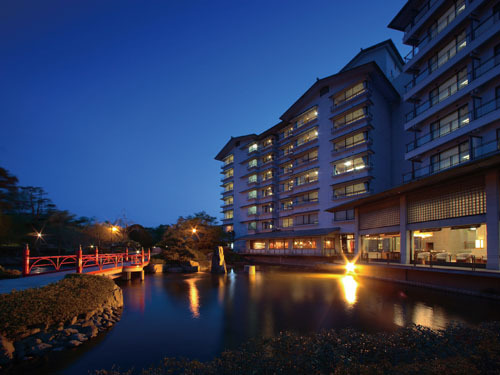 With beautiful and natural surroundings, Sendai Kokusai Hotel offers the quiet atmosphere and comfortable relaxation. Equipped with various facilities and functions, the experienced staff's heartfelt services are satisfying for business and private use. 20 minutes by taxi from JR Sendai Station. 50 minutes by taxi from Sendai Airport. 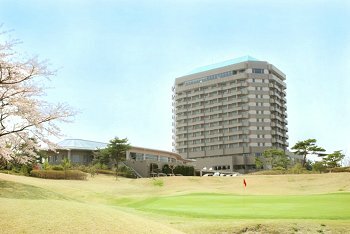 Situated in Sendai, this golf hotel is 0 mi (0.1 km) from Daikanmitsuji Temple and within 3 mi (5 km) of Serizawa Keisuke Art and Craft Museum and Seishi Museum of Contemporary Art. Rinno-ji is 2.9 mi (4.7 km) away. Best Western is the world wide biggest hotel chain which covers more than 80 countries and 4200 hotels. Best Western Hotel Sendai is the urban resort hotel at the height of 180 meter in the suburbs of Sendai. From the guest room, Zao Mountains and downtown Sendai are commanded. 10 minutes by taxi from Subway Izumi Chuou Station. 25 minutes by taxi from JR Sendai station. 40 minutes by taxi from Sendai Airport. 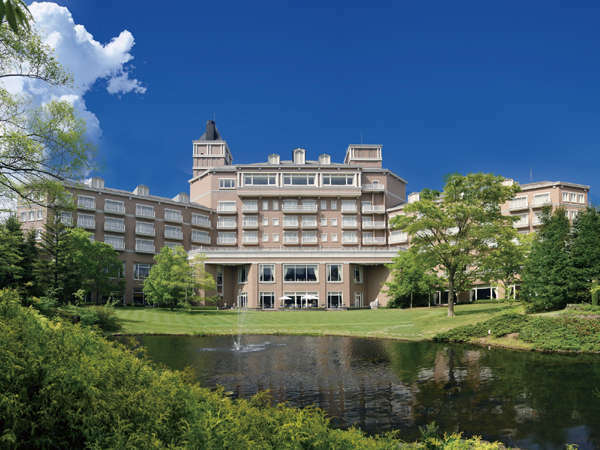 The Sendai Royal Park Hotel is located at Izumi Park Town and highly regarded for its European style and for being the highest grade hotel in Tohoku region. The hotel has both relaxation of resort style and functions of high quality of city hotel. The hotel is equipped with European Garden and Japanese, European and Chinese restaurants. 5 minutes by taxi from JR Sakunami Station. 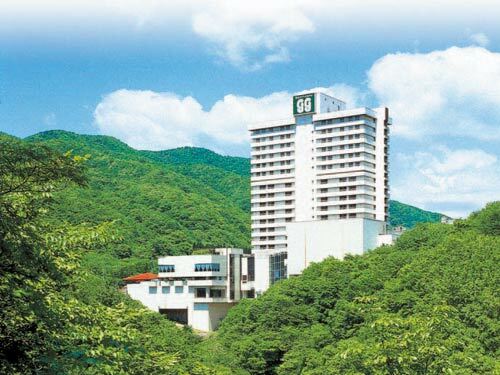 Lala Resort Hotel Green Green is a 17-story building and located in the upstream of Hirose River. Guest rooms offer the beautiful seasonal scenery. It is fun to bathe with the view of Hirose River bellow. Please enjoy the hot spring bath and the forest relaxation in the Onsen Garden. 50 minutes on bus from JR Sendai Station bound for Akiu Shinrin Sports Koen, get off at last stop. Akiu Resort Hotel Crescent is a modern resort hotel where people can enjoy seasonal changes in nature, such as fresh green leaves and scarlet-tinged maple leaves. The vaulted lobby and chic guestrooms together with other facilities like hot spring bath, museum and chapel come together to provide excitement of the hotel life. For dinner, popular French dishes are served. At the attached Forest Sports Park, these facilities as tennis, putting golf, archery, gymnasium, playground, pool, grand bath with an open air bath, auto-camping site and barbecue garden are equipped. 35 minutes on bus from JR sendai Station bound for Akiu Onsen. Get off at Raraikyo and 1 minute walk. 25 minutes by taxi from JR sendai Station. Hotel Zuiho is commanding Rairaikyo Gorge below and it is a spectacular view. Guest rooms are pure Sukiya- style room which revivified the Japanese tradition beauty. The spacious room and the meals made with ingredients from the mountains and sea offer a complete comfort and relaxation. Many types of baths and open-air baths are ready to make the trip a memorable one. 50 minutes on bus from JR Sendai Station bound for Akiu Onsen ane get off at Nozokibashi. 30 minutes by taxi from JR Sendai Station. 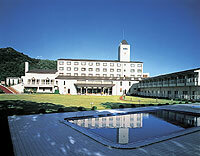 Akiu Grand Hotel is the only hotel in Akiu Onsen which can enjoy the panoramic view of Rairai-kyo Gorge from the hotel. Hotel has four main bath and four open-air baths, and these are commanded a whole view of Rairai-kyo Gorge lighted up at night. Relax in a yukata (Japanese-style bathrobe) and enjoy a stroll on a nature trail along Rairai-kyo Gorge. 50 minutes on bus from JR Sendai Station bound for Akiu Onsen. Get off at Akiuri center and 3 minutes walk. 30 minutes by taxi from JR Sendai Station. The name of the hotel "Rantei" has origin from Chinese old story Wang Hsi-chih and 41 celebrities had party and enjoyed creating poetry by floating the cup on the flow of the brook that winds by Rantei. The inside of the hotel is filled with orchids. The chef who received award offers his creative and delicious dishes. Please enjoy a leisurely time with several kinds of esthetic treatments. 30 minutes by taxi from JR Sendai Station. 50 minutes on bus from JR Sendai Station bound for Akiu Onsen. Get off at Suzuribashi and 20 minutes walk. Kagaribinoyu Ryokusuitei is the only one hotel situated on a hill of Akiu Onsen, and surrounded by the great nature. Hotel features a spectacular Japanese garden and effective hot spring bath from original fountainhead. From nightfall guests can enjoy a fantastic view of bonfire while soaking in the bath. 50 minutes on bus from JR Sendai Station bus stop number 8 bound for Akiu Onsen and get off at Akiu Onsen Yumoto. 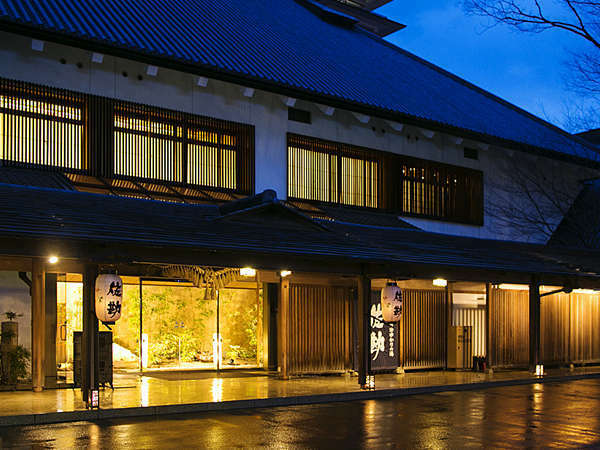 The Akiu Onsen is one of the most 3 famous Hot springs in Japan and is the home of the famous "Yamato Monogatari". 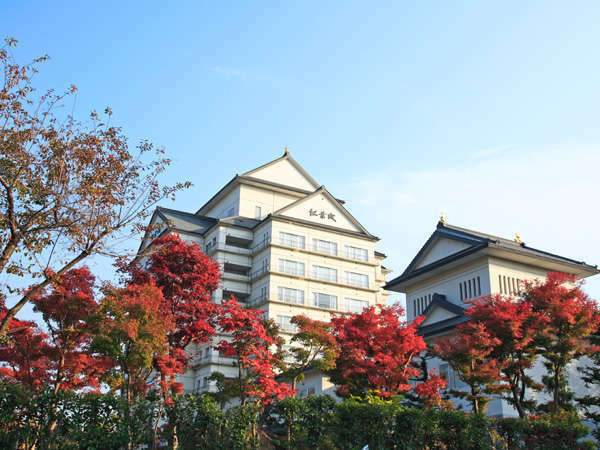 Hotel New Mitoya is an ideal location for touring Matsushima, Zao, Hiraizumi and Sendai. One who visits this authentic Japanese ryokan may experience the nature, comfort and relaxation. 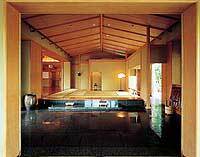 Besides the ryokan has Japanese garden, three main hot spring baths, tennis court, pool and a lounge for guests to enjoy. 30 minutes by taxi from JR Sendai Station. 50 minutes on bus from JR Sendai Station bound for Akiu Onsen. Get off at Akiu Onsen Yumoto and 2 minues walk. Iwanumaya is located at Akiu Onsen resort which is the nearest hot spring resort in Sendai City, the central of Tohoku-Michinoku. It was established 380 years ago and boasts the traditional Japanese-style hospitality in the modern facilities now. The hotel offers open-air and private hot-spring baths and handmade cuisine by seasonal fresh ingredients. 50 minutes on bus from JR Sendai Station bound for Akiu Onsen and get off at Akiu Yumoto. 30 minutes by taxi from JR Sendai Station. Densho Sen-nen no Yado means one thousand years old history and Sakan is the authentic Japanese Ryokan with long-established tradition and also with harmony of the new style modern building. Many ancient documents and old maps from the Date Clan are exhibited in the hotel. The classic music flowing in a large lobby exceeds the conventional frame and this is making a new style of Japanese Ryokan. Please enjoy authentic Japanese tradition and relax. 50 minutes on bus from JR Sendai Station bound for Akiu Onsen, get off at Yakushi bus stop, 1 minute walk. 30 minutes by car from JR Sendai Station. At Saryo Soen, attractive views of Japanese gardens can be enjoyed from all parts of the building. This hotel has been built in the "sukiya" style (a purely Japanese style of construction) and possesses a low, two story structure. Each of the ten detached guest rooms has its own open-air hot spring bath. Local ingredients from the sea, mountains and rivers are used to provide guests with exquisite kaiseki cuisine based on seasonal Japanese events and characteristic of the Mutsu region. You can find most of all Hotels in Sendai. 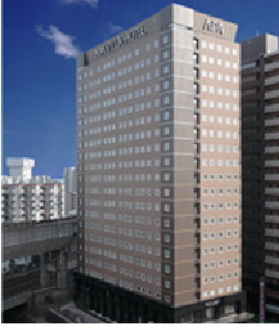 We hope you can find good hotel in this Page,"ALL Hotels in Sendai,Japan".